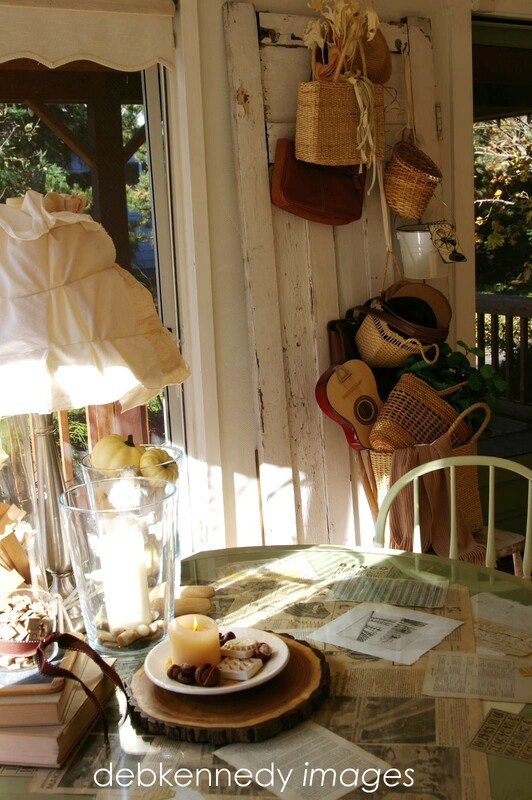 the table up above is a round wood pedestal table, painted green. are laid out artistically on the table top and reflect the brown tones in the fall decor. then the glass top from a round patio table is laid over it all to protect it all. what else can you do with old book pages? share a link to your projects in the comments! [i love buying old or damaged books for pennies at libraries as they are sold with missing or torn covers, ripped pages, etc. i found this old door at a salvage yard for TEN BUCKS! [ReStore is the architectural salvage end of Habitat for Humanity. 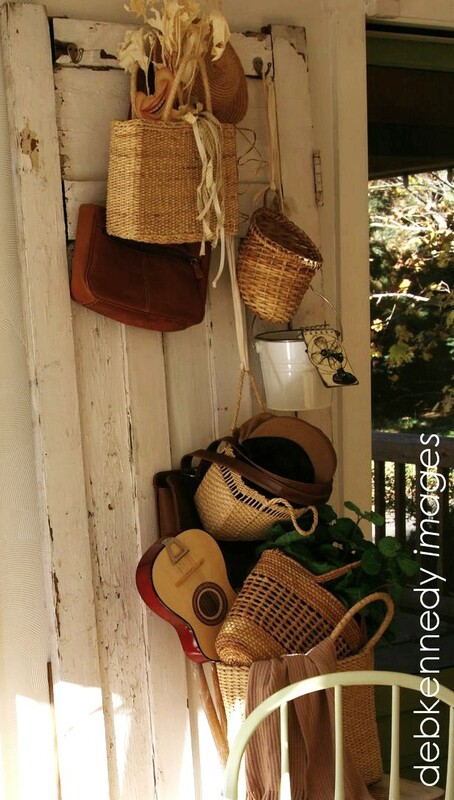 i was lucky - there were four old coat hooks already on the top of this door. and then used it as a 3-D 'inspiration board' and organizer next to the front door. that coordinate with the fall palette in the rest of the room. 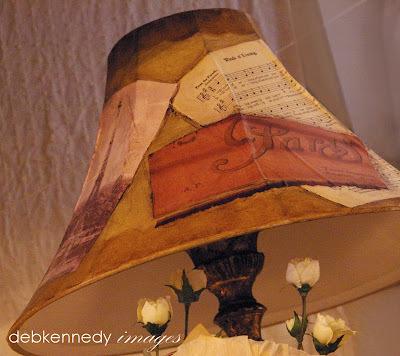 I love all your ideas, especially using book pages on a lampshade. Hmmm, I think I see a project in my future. You have great ideas. I wondered if you ever read your comments last Friday, as I featured your new blog on my weekly Welcome Wagon and told you there? Just wanted to know you were included, and now are on my list at the top of my blog. Back to the papers, which is a priceless idea, I have decoupaged a coffee table with them. that door and all the baskets are great. now I know for sure I need to visit our local re-store!